All your favourites in one collection! You’ll get a total of 61 designs picked from 4 collections: #352 Regency style, #404 Grand Dream, # 407 Floral Monograms and #415 Vintage Medallion. You’ll also get some tips & hints on how to embroider the beautiful quilt. When embroidering use the creative™ ELITE HOOP 260x200/10.2”x7.9”, creative™ MASTER HOOP 240x150/ 9.6”x6” or creative™ PETITE SQUARE HOOP 80x80/ 3”x3”. All your favorites in one collection. 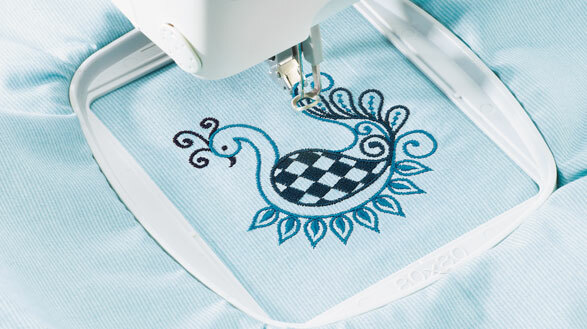 Embroider small designs quickly and easily in your creative™ Petite Square Hoop (embroidery area 80x80 mm).